Historic Environment Scotland (HES) was established to investigate, care for and promote Scotland’s heritage and is responsible for over 330 properties. 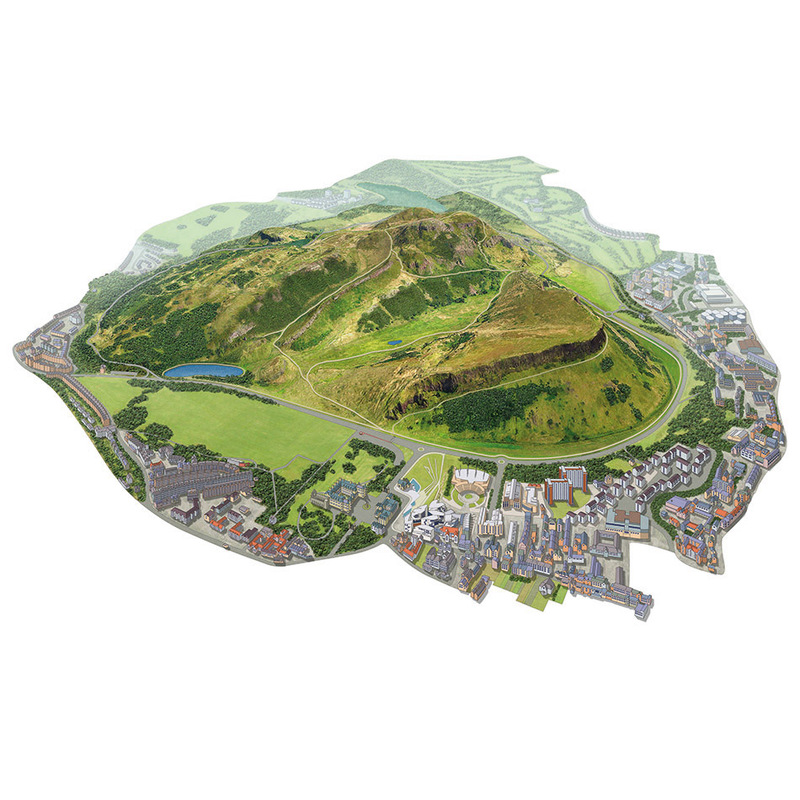 HES manage Holyrood Park, a well- known area in central Edinburgh containing the iconic Arthur’s Seat, the enigmatic ruin of St Anthony’s Chapel and several prehistoric hillfort sites. 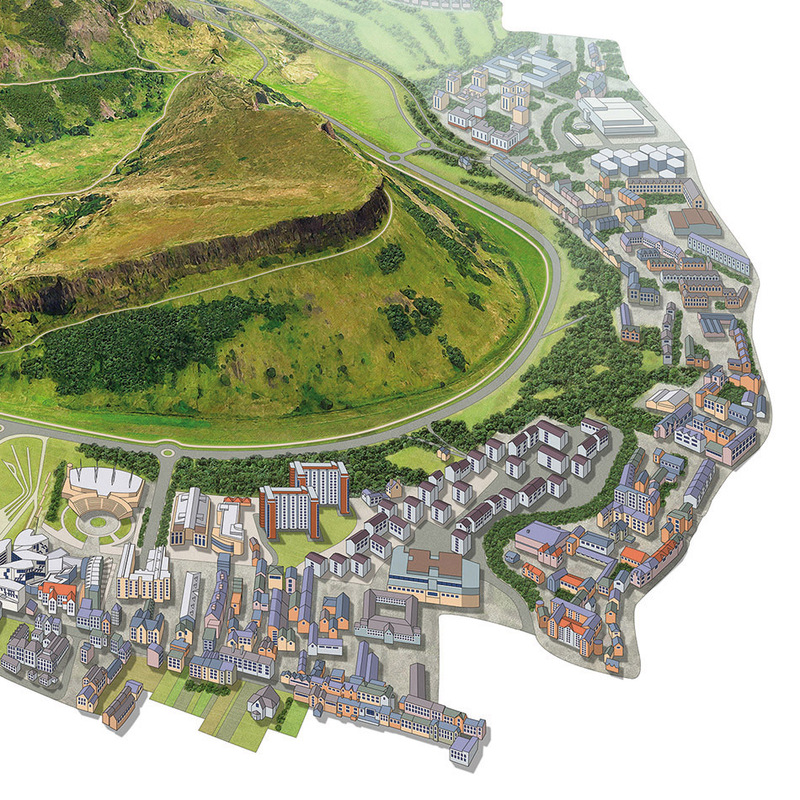 The brief was for a new “attractive, illustrative and ‘friendly’” artistic map to encourage visitors to visit and fully explore the site. The initial challenge was how to show the great variety in the landscape and terrain. 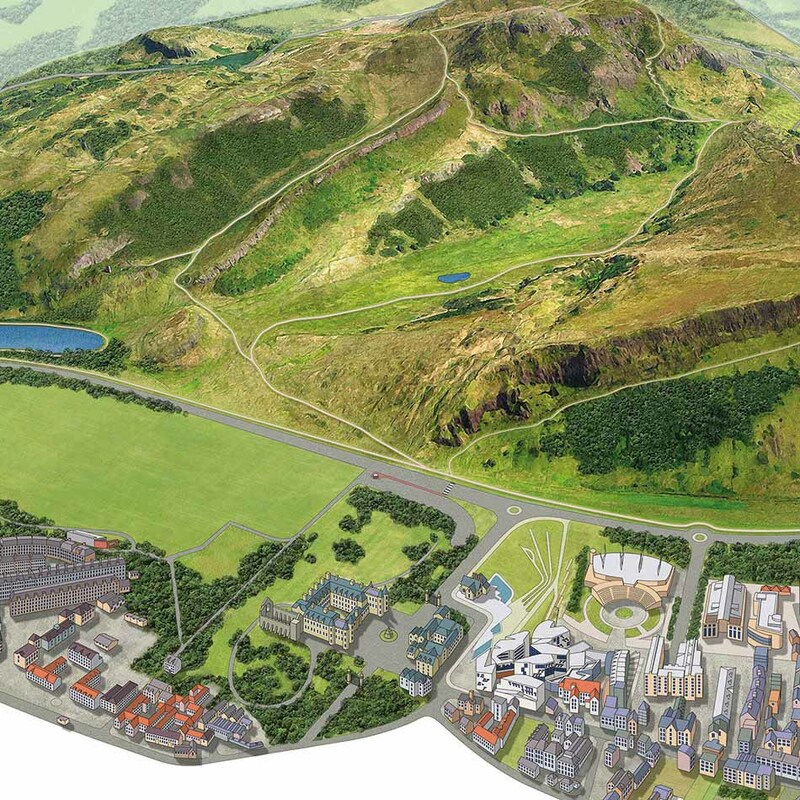 The peak of Arthur’s Seat is 174 metres above the surrounding land and it was a key requirement to show the paths crossing the open hill as well as the texture of the terrain and the more urban areas below. 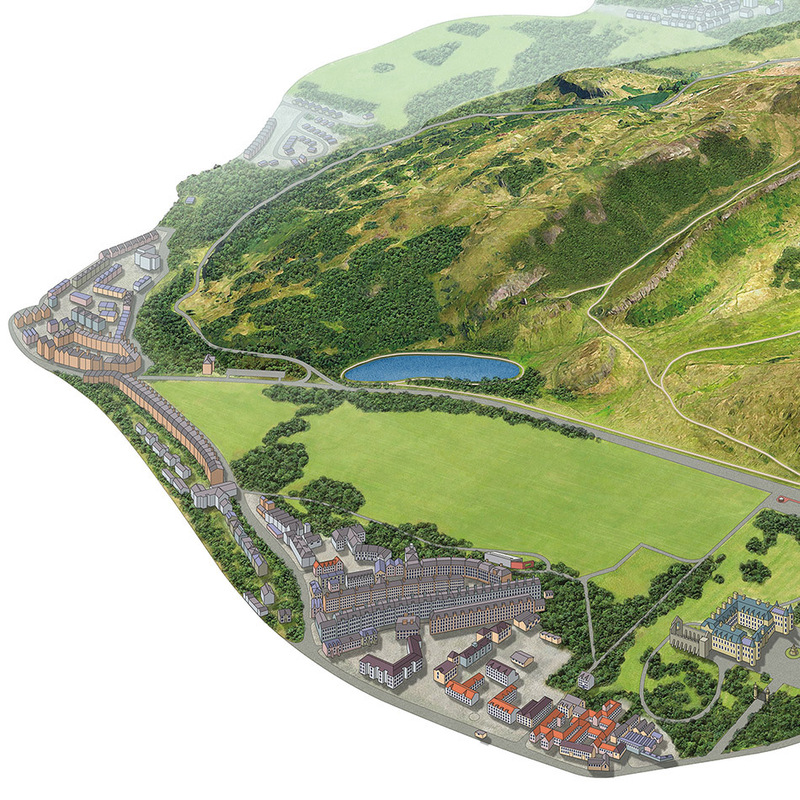 In consultation with HES, it was decided that a view from the North West would give the optimum view of the park. The client saw proofs at various points including an initial pencil sketch and had the opportunity to give feedback at every stage. The final version was a hand painted base with buildings, with detail added in Photoshop. The final map is a work of art and a very realistic representation of the park. The client has a piece of artwork that is suitable for leaflets and information boards and it will hopefully be used by the HES for many years to come!